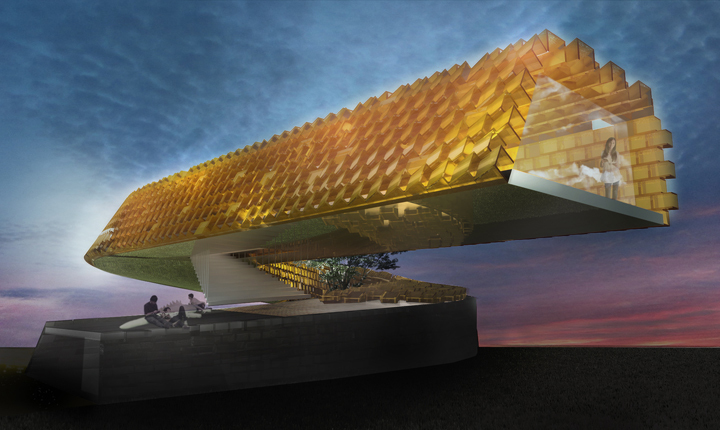 Our vision for the future Thai house is an Architecture that is composed of different levels of resilient segments. This includes 100% resistance with facility space that allows water to flood on the entire area without causing damages. The ground level is a semi living space connecting to the outdoor terrace where the house skin can open up letting the house harmonize with water during the flood season and perform as exposure as desired in the dry season. 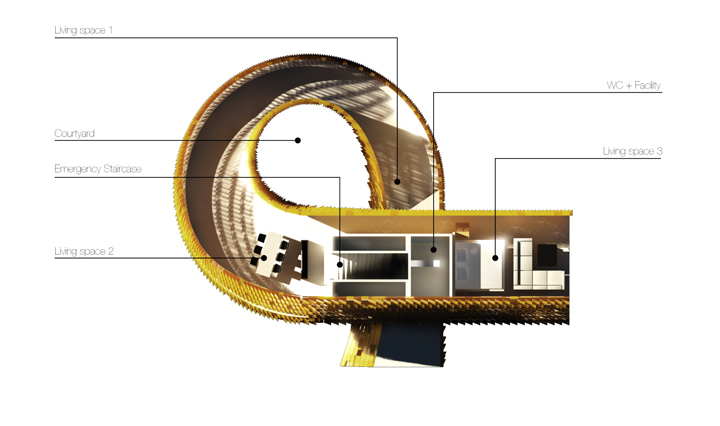 The top area is the main living and resting area, which is elevated and twisted providing shadow for the spaces below. The pangolin house skin is comprised of smart windows consisting of thousands of windows programmed by the intelligent software that can control the level of openings depending on the climatic situations along with the owners’ wills. In the case of flooding, the solid skin on the ground level can become completely open for water to penetrate through to avoid structural damage. The middle and top levels’ windows are made of dye-sensitized solar panels, which is tomorrow’s technology for energy generation where the solar cells use colorful fruit’s dye instead of silica. The translucence of the solar panels make them possible to replace the role of conventional glass windows. With this future technology, Pangolin house can supply sufficient electricity for survival in the case of disastrous emergency. In the future, it is likely that natural disasters will be more and more unpredictable thus we will never be certain of how high the water is going to be. 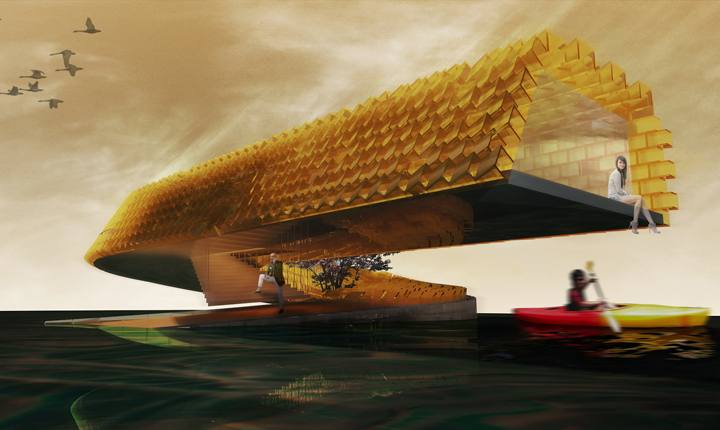 Therefore the roof is a detachable element that can become an emergency floating component once the water gets too high for residents to survive in the house. On the regular situation, it is a rooftop terrace with a garden for the residents, which can be a nice green escape during the flooding times where the residents are unable to leave their homes.